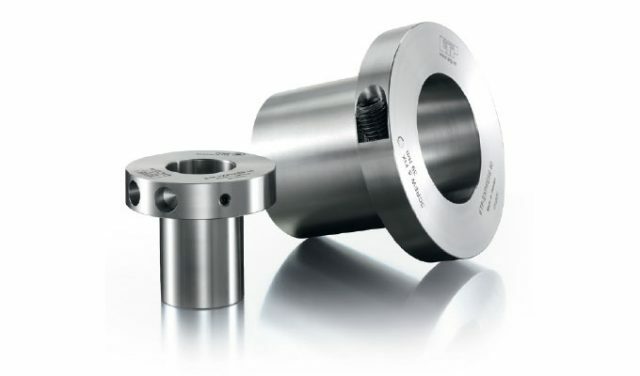 Available in 15 through 100 millimeters and various inch shaft sizes, ETP Express bushings are a great choice for new and retrofit applications particularly in automated machinery applications. With single screw installation, ETP Express locks securely into position, making it a verifiable installation position for maintaining ISO procedures and quality maintenance records. One mounting screw equals one torque value. By comparison, most mechanical bushings require torqueing at multiple locations. With multiple screw mechanical bushings, torqueing at one location easily changes the result at an adjacent location with a loss of concentricity. For more information, visit www.zero-max.com. A breakthrough in the advancement of state-of-the-art fine particulate control, the HEI WESP System incorporates a unique discharge electrode technology that can be sized to specific applications, and concentrates a high intensity ionizing corona in strategic areas within the collecting tubes instead of distributing it along the entire length of the tubes’ treatment area. 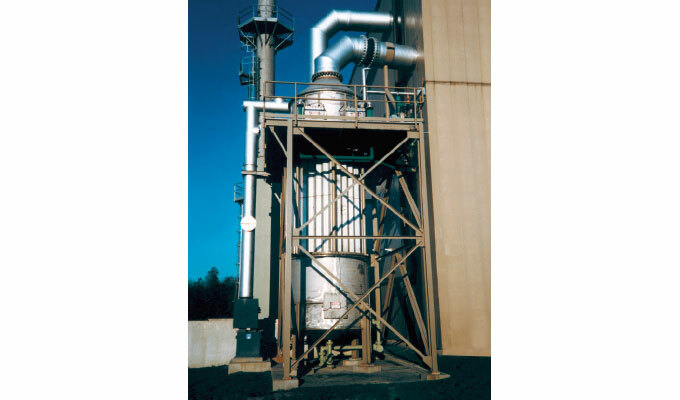 Other key features of the system are the available methods for collection tube cleaning, gas precleaning, and conditioning. For more information, call 201.529.1094, email sales@bionomicind.com, or visit www.bionomicind.com. 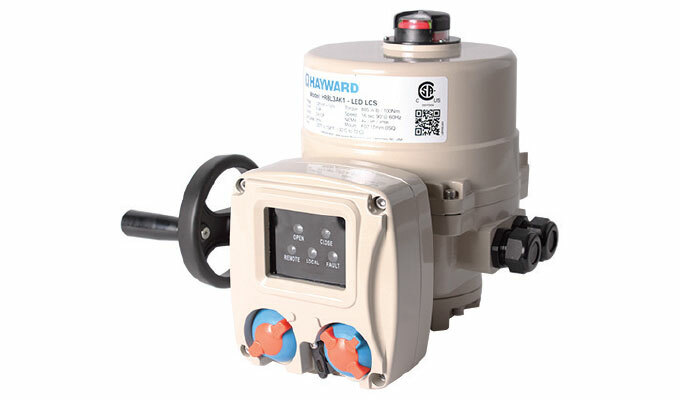 Hayward once again is expanding its HRS Series Electric Actuation family with the addition of integrated local control stations to its offering. With local control stations, HRS Series Electric Actuators (Single and Three Phase designs) can be operated either remotely with standard control systems, or locally at the actuator with the ability to position the valve or damper without input from the field controller. This design feature is especially useful when performing maintenance on the connected device or when troubleshooting PLC systems driving the actuator in the field. For more information, visit www.haywardflowcontrol.com. Continuous flexing motor supply cable is now available from AutomationDirect in customer specified one-foot increment lengths. 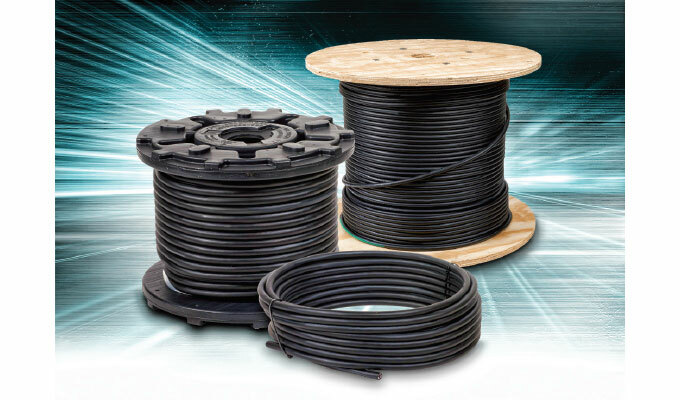 igus Chainflex® continuous flexing CF30 and CF31 motor supply cables are specifically designed, tested, and manufactured to be exposed to constant flexing, providing a cable service life between 5 million and 10 million cycles. The cables are available with four unshielded (CF30 series) or four shielded (CF31 series) conductors in 16 AWG to 2 AWG sizes. Individual conductors are bare copper and stranded for flexing applications. For more information, visit www.automationdirect.com/motor-supply-cable. Terminating the wrong wire to the wrong terminal can be a costly and hazardous mistake, damaging PC boards, components, and so on, and creating safety hazards. Low voltage and line voltage connections can easily be mixed up, even by inexperienced installers. Unfortunately, this happens all too often in the field. However, the innovative “Jelly Beans” solution from BlockMaster prevents such mishaps. 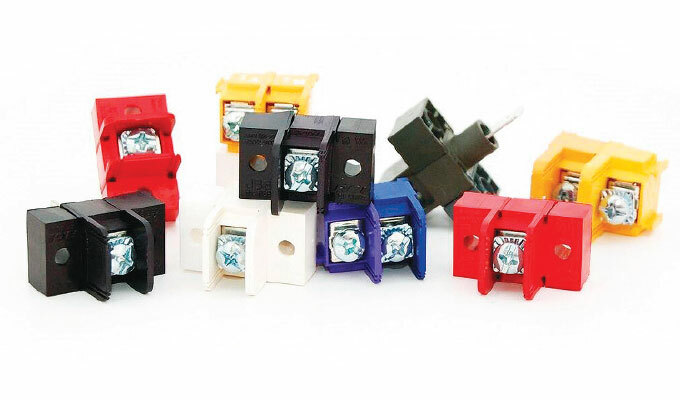 The new Jelly Bean® JB6 Series can eliminate this problem for installers by using color-coded terminal blocks. For more information, contact Paul Slattery, field sales manager, at 847.956.1680 or via email at pauls@blockmaster.com. The next-generation FL500 optical flame detector is FM performance approved for six different fuel sources: butane, ethane, heptane, methane, methanol, and propane. 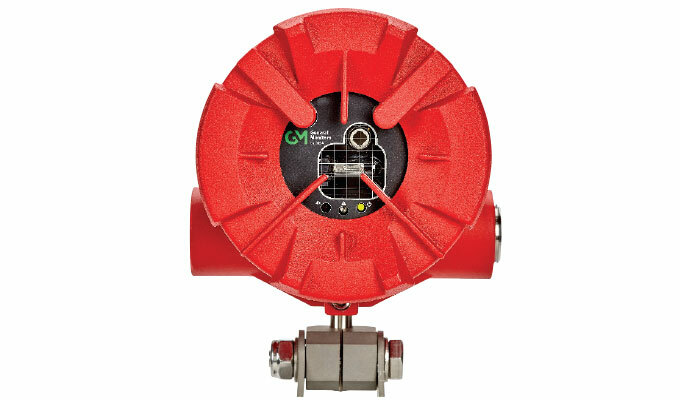 By combining a precision ultraviolet (UV) sensor for quick response with an infrared (IR) sensor that monitors flame-emitted radiation, the FL500 flame detector operates at faster speeds with unsurpassed false alarm immunity to provide the industry’s most reliable monitoring in its class. The FL500 detector offers a wide field of view up to 130-degrees for optimum protection. For more information, visit www.msasafety.com. In the treatment of surface water to drinking water, public health, and the safe removal of microorganisms has the highest priority. The next priority is usually to do this as cost-effectively as possible. In Roetgen, Pentair X-Flow’s Xiga 40 membrane modules have served twelve years in continuous operation, with only eight years expected. 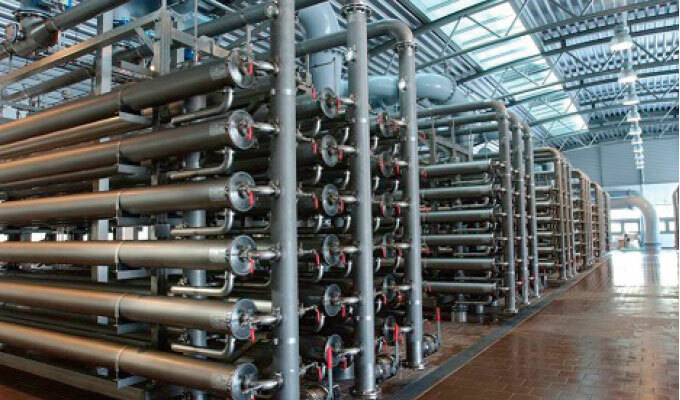 Ever smaller pore sizes serve different purposes in drinking water treatment: microfiltration and ultrafiltration for particle removal, nanofiltration, and reverse osmosis for softening and desalination. For more information, visit www.pentair.com. WEG’s Pump Genius is designed to reduce system operation and maintenance costs while increasing process accuracy and protection. 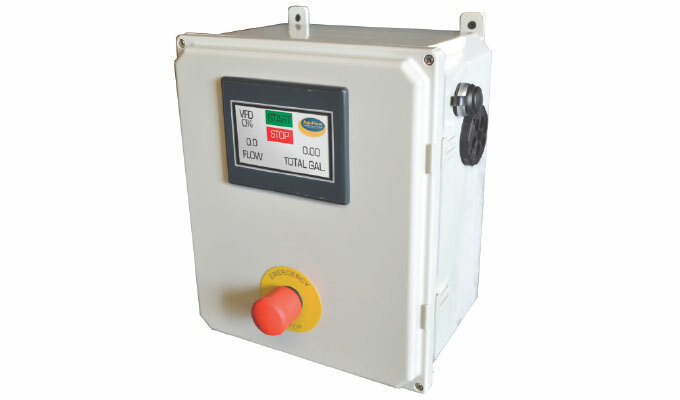 The software provides multiple pump control and protection, as well as system monitoring and protection. 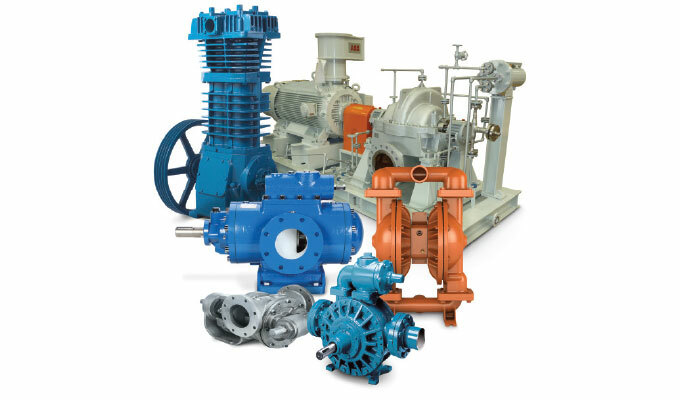 Pump Genius can be applied to any system that requires constant flow or pressure. Pump Genius is designed to reduce your pump system operation and maintenance cost, increase accuracy and protection, and control up to six pumps dynamically alternated and controlled. For more information, visit www.weg.net. The RFMS provides dynamic subsea measurements with a high degree of reliability for the drilling riser and wellhead systems. By precisely recording the motion of the drilling riser, wellhead, and casing system at discrete points in a time synchronous manner, fatigue damage of these components are determined and actionable information on the health of the drilling riser, wellhead, and casing system can be delivered to the rig crew. For more information, visit www.stress.com. The xLC® stator adjustment unit allows to re-adjust the iFD Stator® 2.0 several times to prolong the operating life of both rotor and stator significantly before a change—caused by wear—is needed. The functioning of the xLC® system is based on the iFD Stator® 2.0. It grips the flange of the elastomer part to pull or push it inside the housing. In case of wear axial pressure on the elastomer part leads to increased tension and restores the sealing line. For more information, visit www.netzsch.com. 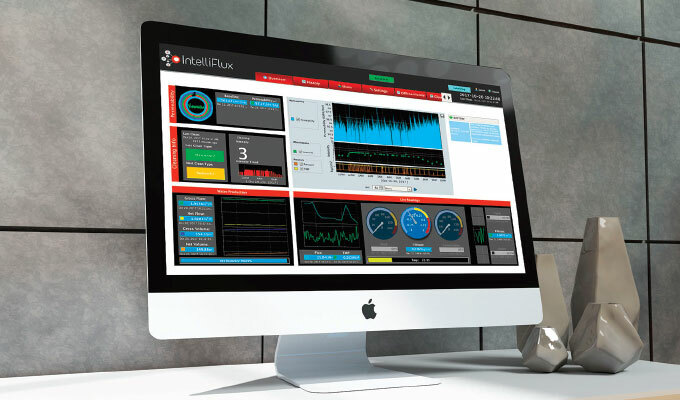 IntelliFlux set new standards in optimizing and lowering OPEX of over sixty membrane filtration systems around the world. The core AI and machine learning engines of IntelliFlux, the Augmented Process Recommendation and Industrial Control Optimization Tools (APRICOT), was developed into a standalone software platform, on which a broader set of water treatment and process plant optimization solutions can be customized. APRICOT underlies the next generation of IntelliFlux SmartMode2.0 control software targeting autonomous control of water treatment and chemical process plants. For more information, visit www.ifctrl.com. Suez expands its ZeeWeed 500 family of membranes to address the needs of smaller membrane bioreactor (MBR) plants. 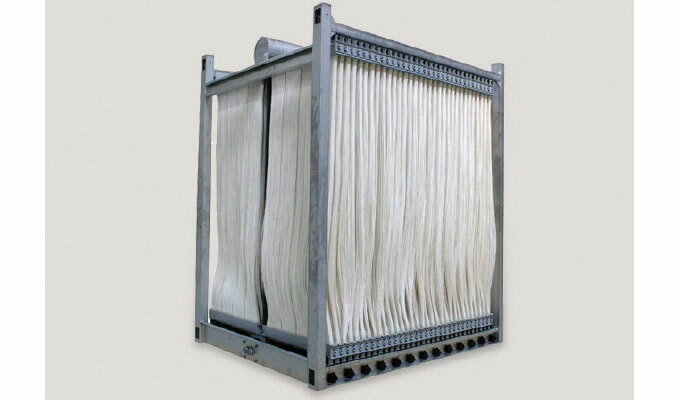 With the addition of two ZeeWeed 500 products, SUEZ is making this trusted, reinforced hollow-fiber ultrafiltration (UF) membrane available for all municipal, commercial, and industrial applications at any flow range—from micro-sized to mega-sized wastewater treatment plants. The ZeeWeed 500D product has been trusted for high-performance, world-class energy efficiency, and proven long membrane life. 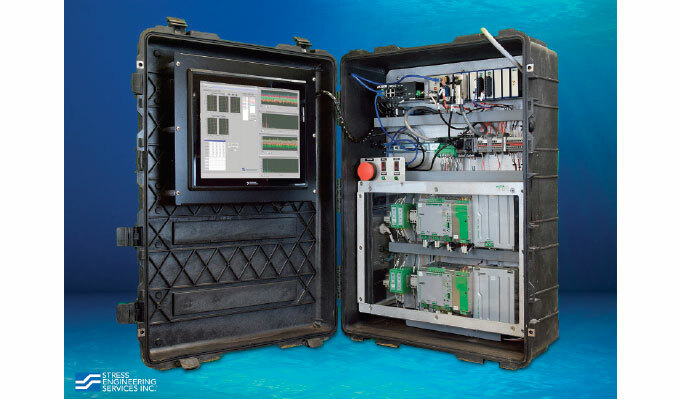 Now those same benefits are available to provide operational simplicity and rugged reliability to small MBR applications with two new products. For more information, visit www.suez.com. 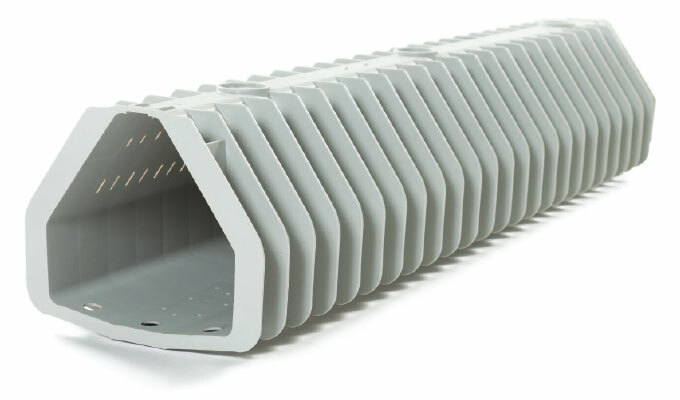 The Leopold Type 360 Underdrain uses a modular lateral design to simplify installation. Unique hold-down brackets secure the laterals and enable service to individual underdrains through its innovative bolt down system. Reinforced polymer provides the Leopold Type 360 Underdrain with maximum strength while reducing the overall weight for easier transportation and installation. The underdrain is adaptable to all standard flumes and air feeds to facilitate rehabilitation and retrofits of existing filters. A patent pending, self-cleaning technology removes sediments that could build up in the underdrain over time and, combined with the high uplift resistance and corrosion free design, makes it the most reliable bolt down product on the market. For more information, visit www.xylem.com. 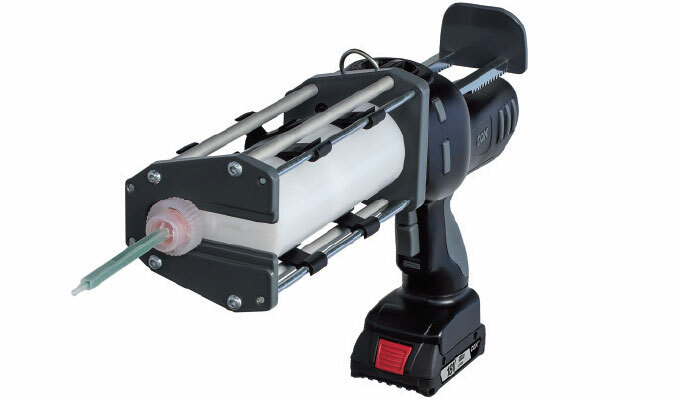 The COX ElectraFlow Dual Ultra has been specifically designed for the professional and specialist trade users across all industry sectors who demand a reliable and high-performance two-component dispensing tool. The fully integrated application system features first-in-class cordless technology powered by the latest 18V lithium-ion batteries and chargers. ElectraFlow Dual Ultra utilizes CoolPack battery technology from Bosch Professional batteries; heat dissipating housings improve product safety by preventing possible overheating, prolonging battery life, and extending runtime. For more information, visit www.sulzer.com. When it comes providing equipment to the oil and gas industry, the brands within PSG offer some of the safest and most reliable solutions available on the market today. Specifically, equipment from the PSG brands Blackmer, EnviroGear, Finder Pompe, and Wilden—which will be on display at this year’s ADIPEC—incorporate a wide variety of design features that help improve environmental compliance, energy efficiency, and overall operational performance for the oil and gas market. PSG will be displaying its oil and gas industry solutions at ADIPEC 2018, which takes place on November 12 through 15 in Abu Dhabi, United Arab Emirates. For more information, visit www.psgdover.com. Many industrial automation applications require communication between the controller and multiple serial devices. 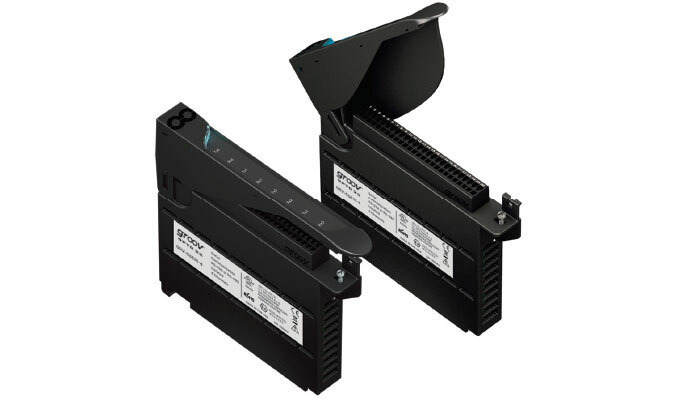 This new module provides four independent and isolated serial ports for this purpose, communicating with RS-232 or RS-485 serial devices. Up to four modules can be installed in one groov EPIC chassis, providing a total of sixteen serial ports to support these communication requirements. Each port is selectable for RS-232 or RS-485 mode, with programmable termination and bias as well as half- or full-duplex options in RS-485 mode. Baud rates of up to 1 Mbps are supported. For more information, visit www.opto22.com. 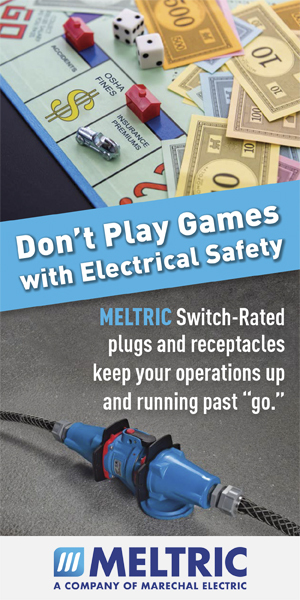 Low-voltage replacement circuit breakers provide a cost-effective way to upgrade to current technology while increasing equipment reliability and minimizing downtime. 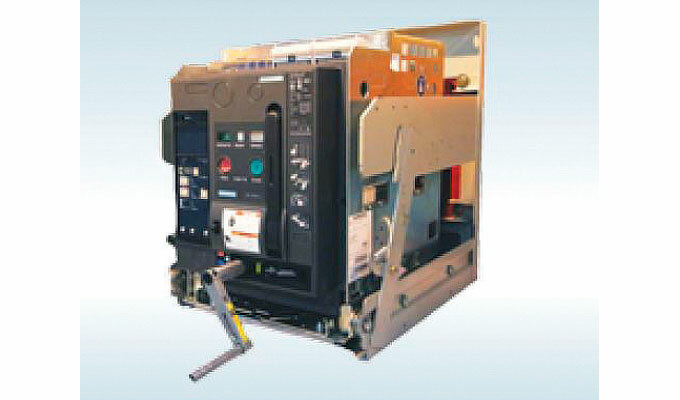 The following circuit breakers are available as pre-engineered designs. Other manufacturer’s models and ratings can be engineered by Siemens by customer request. This highly engineered reliable design offers increased operations and the Extended Instantaneous Protection (pat. pending) function allowing 100 percent of the full withstand rating of the frame and still providing the ability of the breaker to be applied up to the maximum Interrupting Rating. For more information, visit www.siemens.com. The MATE exoskeleton uses an advanced spring-based passive structure to support workers during their tasks. MATE delivers lightweight, breathable, and highly effective postural support without the need for batteries, motors, or other failure-prone devices. It is also compact and ergonomically designed thanks to the partnership between Comau; ÖSSUR, a leading non-invasive orthopedics company; and IUVO, a spin-off company of the BioRobotics Institute specialized in wearable technologies. 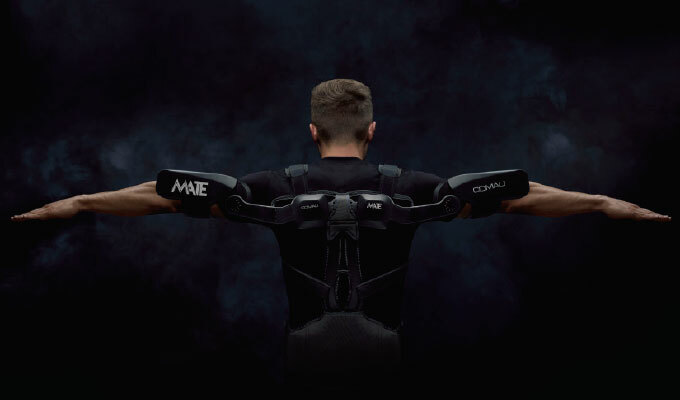 MATE is fully able to replicate any movement of the shoulder while adhering to the body like a second skin. For more information, visit www.comau.com. Created, developed, and optimized in close cooperation with food manufacturers, the BINEM drum unloader empties bins, drums and containers with less than 1 percent product waste. 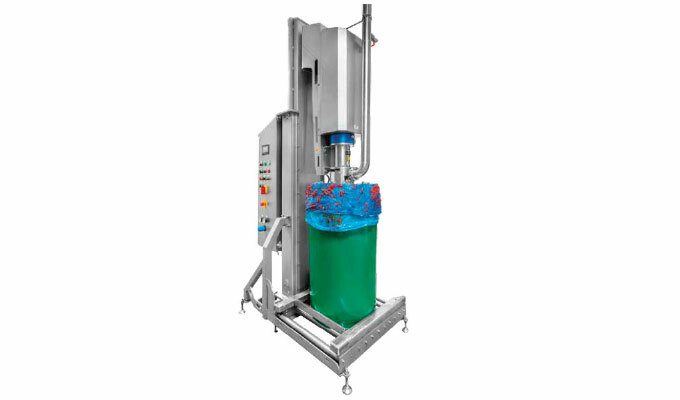 Designed to empty products that are not self-leveling or can’t be handled by a drum pump or suction wand, the system is perfect for applications like tomato paste, chocolate spread, cookie filling, peanut butter, and meat paste. For more information, visit www.bornemann.com. Based on customer input, we found that verifying the correct operation of each pump is a difficult task. Currently, this is done manually. With IVAX, all of this can be done automatically without any errors. It is even possible to maintain an automatic log to verify events back in time. 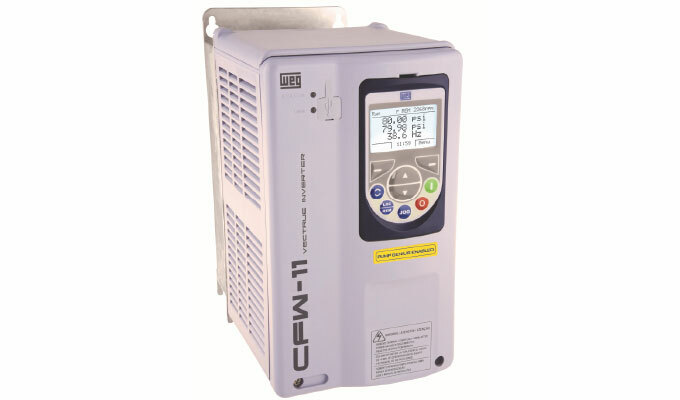 Controlling an Aquflow chemical metering pump can be done by controlling the capacity of the pump via the electrical capacity control actuator (ECCA), the speed of AC motors via the variable frequency drive (VFD) or DC motors via SCR. 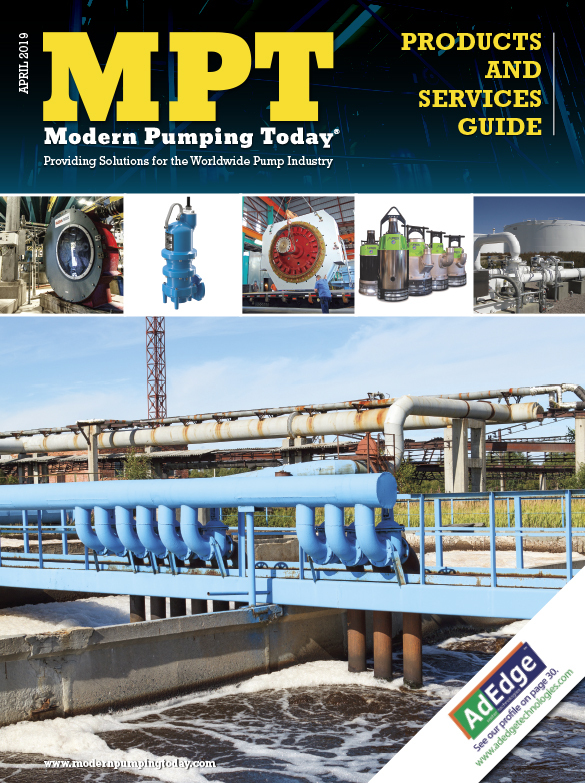 For more information, visit www.aquflowpumps.com.